This week I have been working through the chapters of my manuscript (the first draft of which was wrapped up last summer) from beginning to end. As of today at 3PM or so I finished #10, which is one-third of the files. Granted, these are the chapters I have already worked over a fair bit, but still, that’s 10 chapters x about 5,000 words each. That’s a lot of words. Most of them are pretty good; a few of them, kinda great; only a brief wave of crappiness got me down earlier in the week. Still, I’m feeling pretty good about the progress I made overall, and if I don’t give myself a gold star, who will? Although it’s not been a full five-day week, tomorrow I will be engaged in a very important day-long extra-curricular activity, so for now I need to shut down the Great Work and think about other things. I guess technically it is a holiday weekend too, so I won’t feel badly about taking the break. And you shouldn’t either. Ciao! P.S. 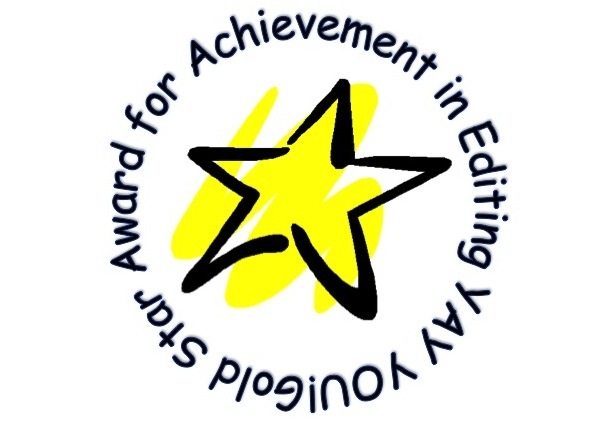 If you are also deserving of a gold star for achievement in editing, by all means, feel free to borrow mine. Just please return it by Tuesday morning, since I may need the encouragement to get started again. My not-well-earned break from writing a lot of crummy words into a crummy chapter today was a Twitter break where I learned that today is National Dog Day. Look: there is a website (with sponsors! ), so this must be a real thing (never mind that it has an official founder, who describes herself as a “pet and family lifestyle expert”; excuse me while I go update my c.v. likewise). 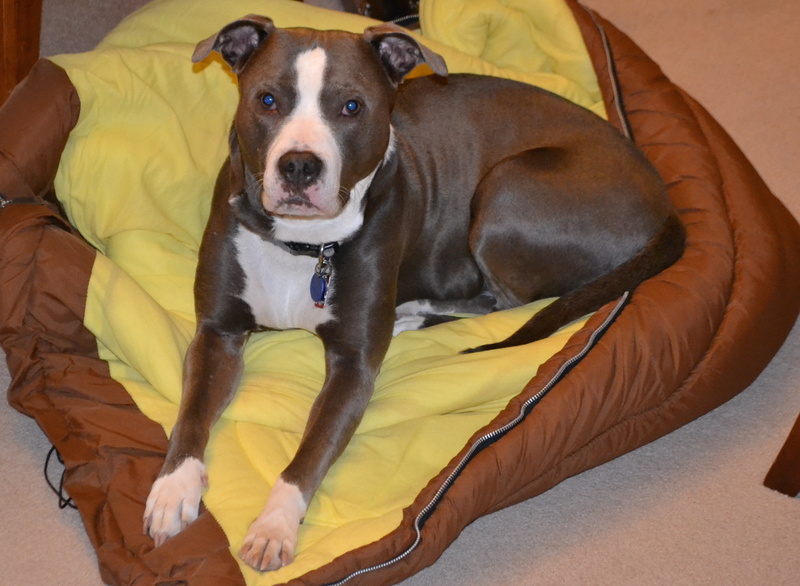 Anyhoo, seems a reasonable opportunity to introduce my veritable dozens of readers to the “canine copilot” mentioned in the blog header. Behold Scrumpy, who spends her days at my side when I am home writing. She’s not a huge help when I am trying to figure out how to turn a phrase or identify just the right word that I used to know but has since slipped my mind, but she’s a great audience in never ever interrupting when I read out parts of drafts or as a companion to walk around during a writing break and she never ever says “that’s a bunch of crap” when I tell her my latest awesome idea. And it’s helpful to have someone around to ostensibly talk to during the day; otherwise it’s just me and the dead architects who haunt me.